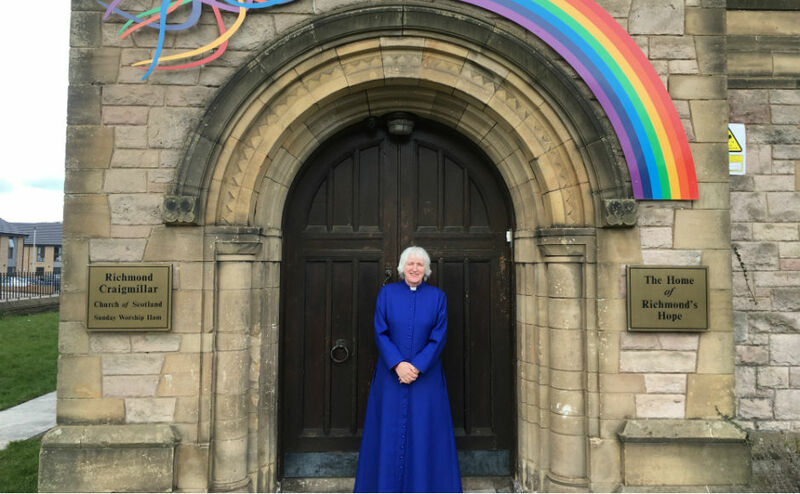 Rev Liz Henderson, of Richmond Craigmillar Church in the east of the city, will formally join her Majesty’s Household as a Chaplain-in-Ordinary. The prestigious role dates back to the 15th century and is today largely a ceremonial honour with chaplains taking part in formal state occasions and conducting services at significant national events. Mrs Henderson said: “I am absolutely delighted. The minister helped to set up Richmond’s Hope in 2003 to provide bereavement support for local children. The charity was the first of its kind in Scotland specialising in children’s grief and now has four centres in Edinburgh and Midlothian, and one in Glasgow. Over 3,500 children have been helped since the charity began. Richmond Craigmillar Church is Mrs Henderson’s second parish since she was ordained in 1985 and plays a vital role in the community. During the school holidays the church cafe provides free lunches for local children. It also hosts ‘Fair Share Thursday’ which uses unwanted food provided by supermarkets to help vulnerable people. There are a total of 10 chaplains to the Queen in Scotland, and each holds office until the age of 70. The Chaplains, along with a physician, a surgeon, an apothecary, a sculptor, an astronomer, an historiographer and some others form part of Her Majesty's Household in Scotland. They are all personally known to the Queen and are people in whom she has placed her trust. Rev James Gibson of Bothwell Kirk will retire from the role and receive the honorary title of Extra Chaplain. Professor Iain Torrance, Dean of the Chapel Royal in Scotland, said he was “delighted” with the announcement to appoint Mrs Henderson. “Liz has served for over 30 years in two demanding parishes in Edinburgh,” he said. “She is widely admired for her consistency and practical approachability. “She has spent the last 21 years as minister of Richmond Craigmillar, ministering to a community with high unemployment. “Fifteen years ago, Liz co-founded ‘Richmond’s Hope’, which is a vibrant and much-admired charity to provide support for bereaved children. “This has been so successful that they have opened a branch in Ibrox in Glasgow as well. “I’m really thrilled for Liz and her new appointment. “It is a huge honour and a real reflection on her wonderful work with Richmond’s Hope.